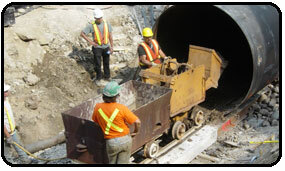 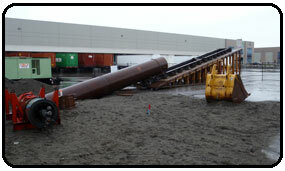 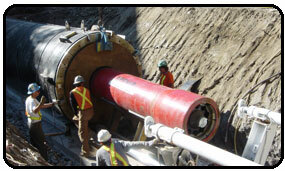 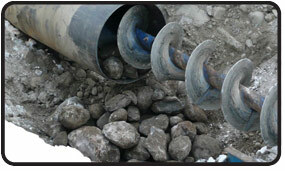 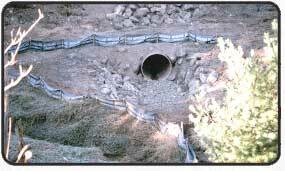 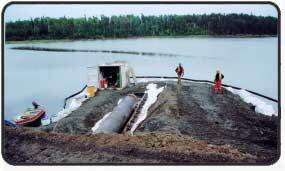 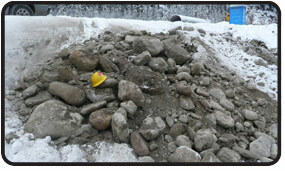 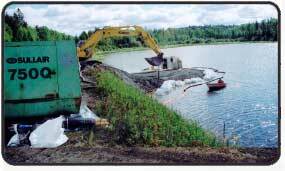 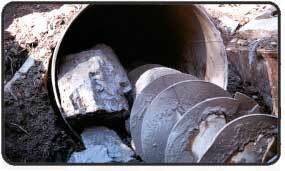 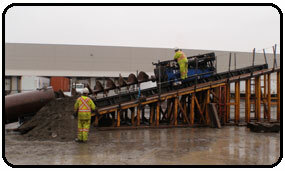 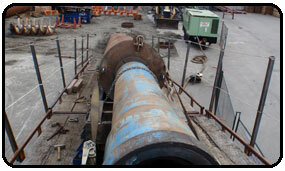 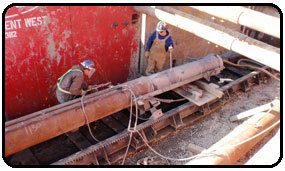 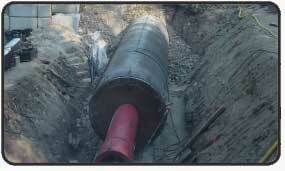 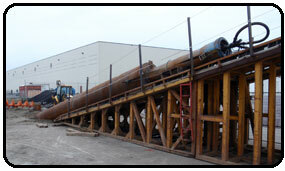 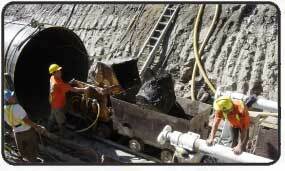 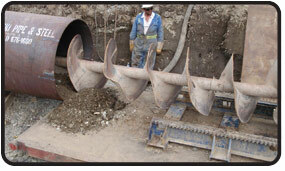 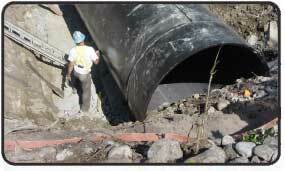 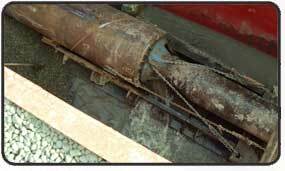 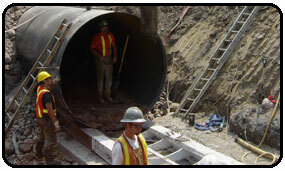 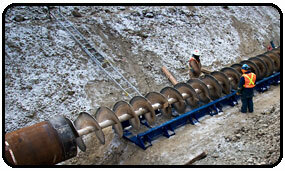 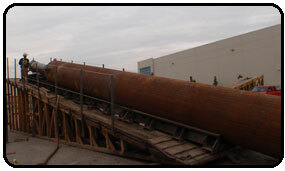 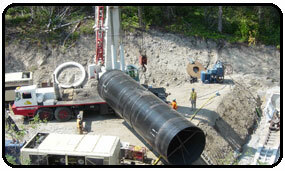 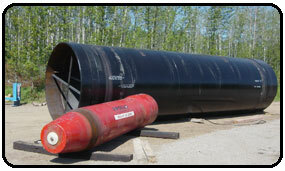 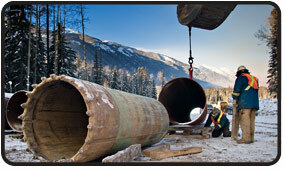 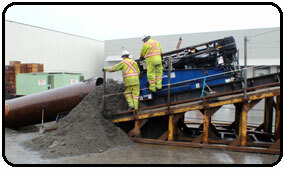 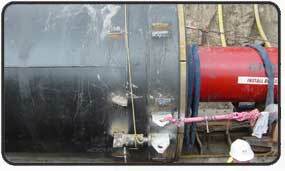 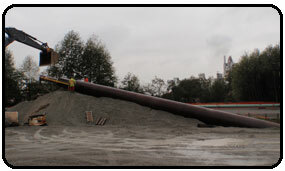 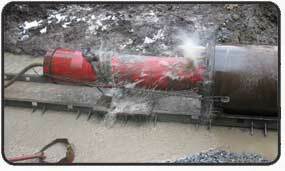 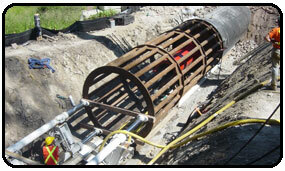 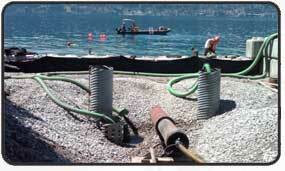 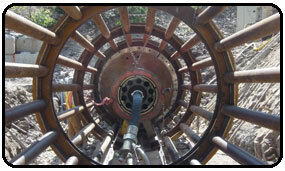 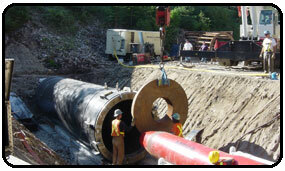 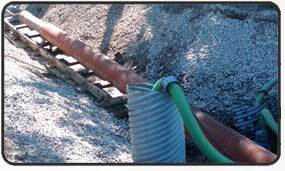 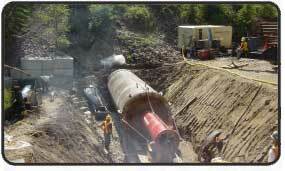 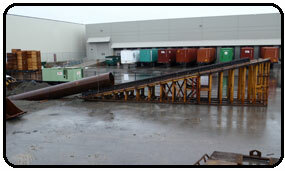 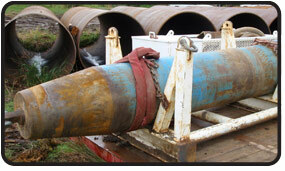 Pipe Ramming is used in a wide variety of soil types including gravel, cobble or sand. 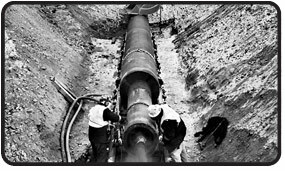 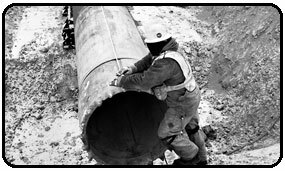 A pneumatic hammer is attached to the back of the product pipe and driven in any direction from horizontal to vertical through material. 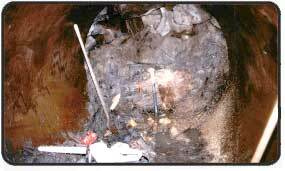 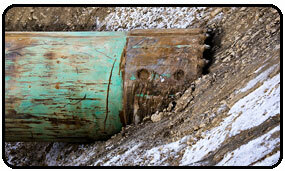 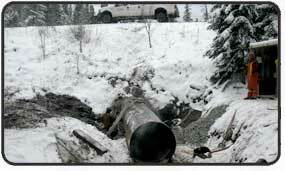 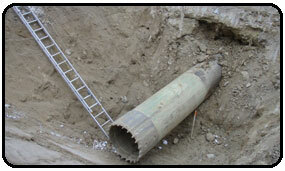 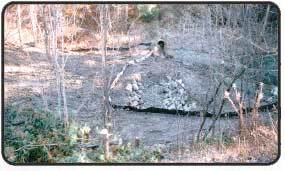 The material is cleaned out of the pipe using one of several methods, determined by material content. 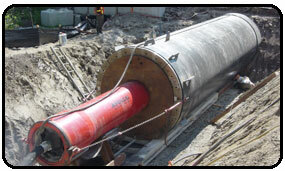 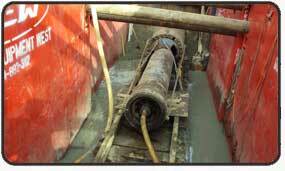 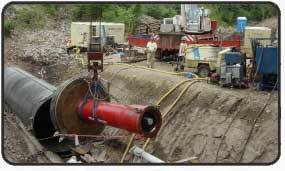 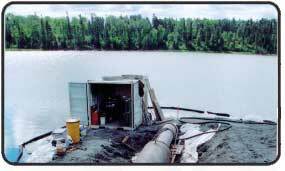 Pipe Ramming methods are used for pipe diameters of 12 inches and larger and are also used for vertical installations such as large diameter piling or conductor barrels for drilling applications.